OK, three words: Knoll Sale - Yahoo! Whether you're a mid-century modern fanatic or a contemporary design fan or you just can't stop dreaming about crimson Classic Boucle, this is a time of year that we all look forward to. With more than 40 of their products in the permanent Collection of the New York Museum of Modern Art, Knoll is a recognized leader in the world of design worldwide. Design integrity is at the core of this company and shines through in their vast portfolio of iconic furniture spanning over 70 years. Today until September 30th, all Knoll classics are 15% off. Shop the sale on grshop.com, here. 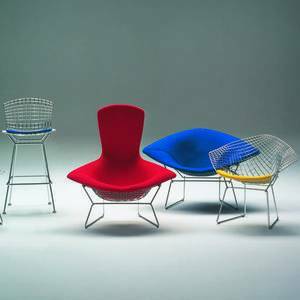 This entry was posted in Design & Decorating, Sales and Promotions and tagged Knoll, harry bertoia, knoll sale, jens risom, marcel breuer, Franco Albini on September 21, 2012 by Amy Cripps. Looking for a comfortable swivel bar stool with a high back and foot rest? This doesn't seem like an unusual request, but can actually be difficult to source. Add the attributes "height adjustable" and "modern design" and this search can turn into a bit of maze. We're pleased to say that we've found it though, and it's on grshop.com. Introducing the Toto Stool by Giorgio Manzali for Cattelan Italia. Offering hydraulic height adjustment, leather upholstery and quality chrome finishes, this stool hits all the marks. 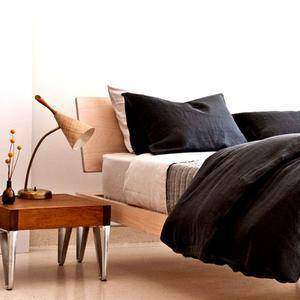 It's available in a large variety of colours, and in a wood seat for natural material enthusiasts. Round base more to your liking? That's a custom option as well. Seat height ranges from 23" to 33" inches, making it perfect for counter height, bar height and anything in between. This bar stool is a long time showroom favourite. As one of our most popular and high quality seating products, we try to keep it in stock in black leather with a square base. Check out the Toto on grshop.com here. Visit Cattlelan Italia's website to browse their large selection of high end Italian products for the home ranging from dining tables to upholstery. While we are currently only featuring the Toto stool on grshop.com, please contact us for details on any of Cattelan's other products. This entry was posted in Uncategorized, Seating & Chairs, Kitchen & Dining and tagged Cattelan, Cattelan Italia, toto stool, modern bar stool, bar stool, Giorgio Manzali on September 12, 2012 by Amy Cripps.